Everyone at work seems to have a custom mug for coffee/tea. 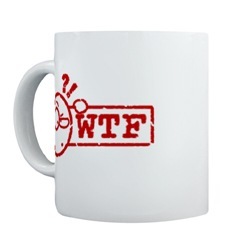 Something other than the usual HP provided mug. So, I decided to follow the goats and bought myself a custom mug too... not just any mug... 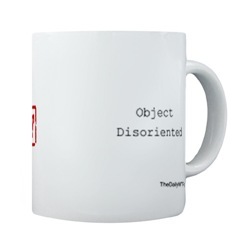 This one's from http://thedailywtf.com/ and its called "Object Disoriented".